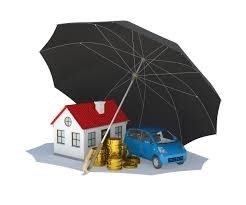 Umbrella Insurance; Is it really necessary? I’ve been asked before if umbrella insurance is really necessary or is it just a way for the insurance companies to skim a little more income from their clients. Are you the parent of a driving teenager? Consider the frightening prospect of being on the receiving end of a late night call where your teenager was found at fault in a car accident and another person was injured. Perhaps your auto insurance has a liability provision for $500,000. Umbrella Insurance will provide extra insurance if you are sued for damages. Do you have a swimming pool in your yard? Hopefully, it will never happen, but if there is an injury or worse, a death related to your pool, you could be sued in excess of the liability coverage on your homeowner's policy. Do you own rental property? If so, any number of things could happen on this property without you being aware where someone is injured. You could be held liable for their injuries. Do you have a dog? If your dog bites someone, you could be found liable in a lawsuit. Again, umbrella insurance will help cover any excess damages stemming from a lawsuit. All of these situations could open you up to additional liability and for just a few hundred dollars a year, you could purchase extra coverage to protect yourself and your family should you be sued. Be sure to talk to your planner to help you determine how much coverage you should obtain. The more assets you have, the more coverage you should consider.